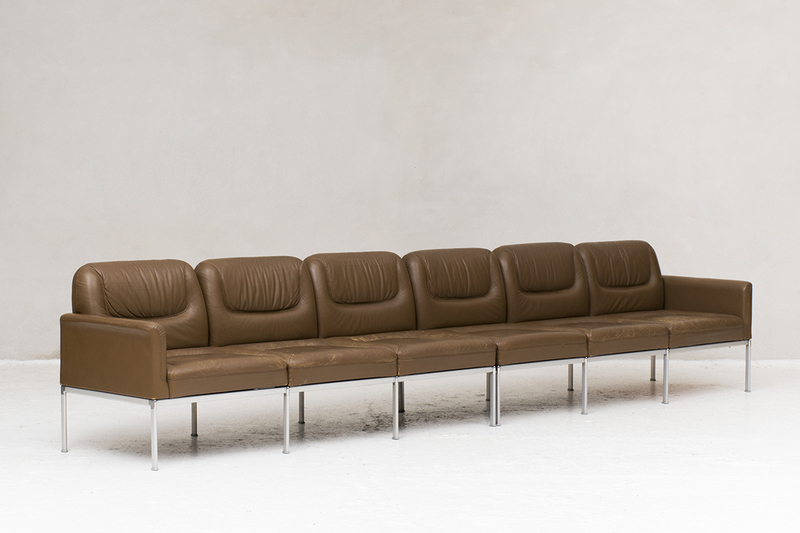 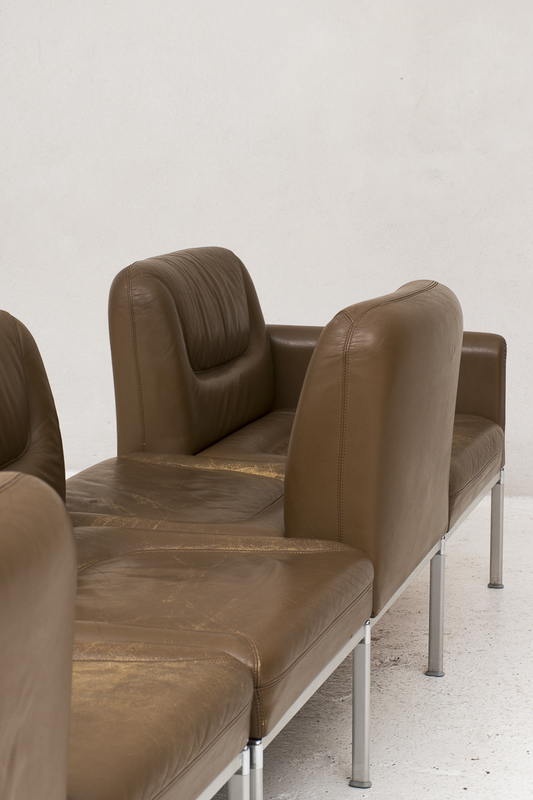 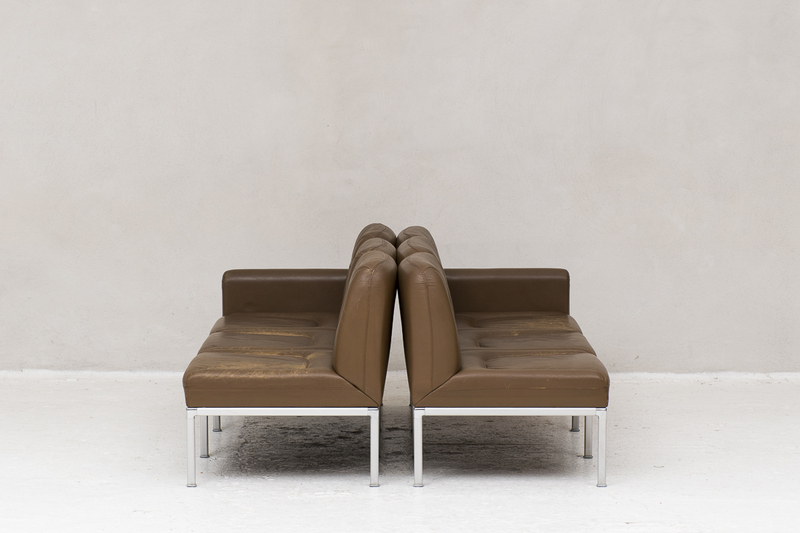 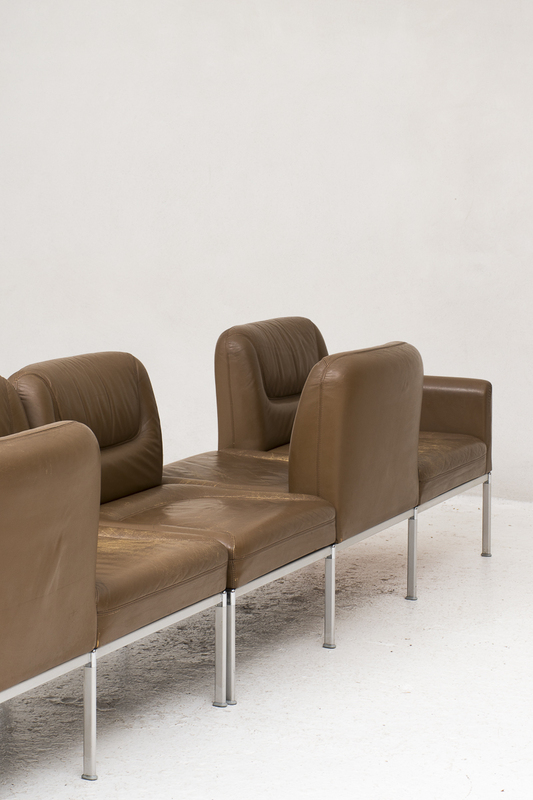 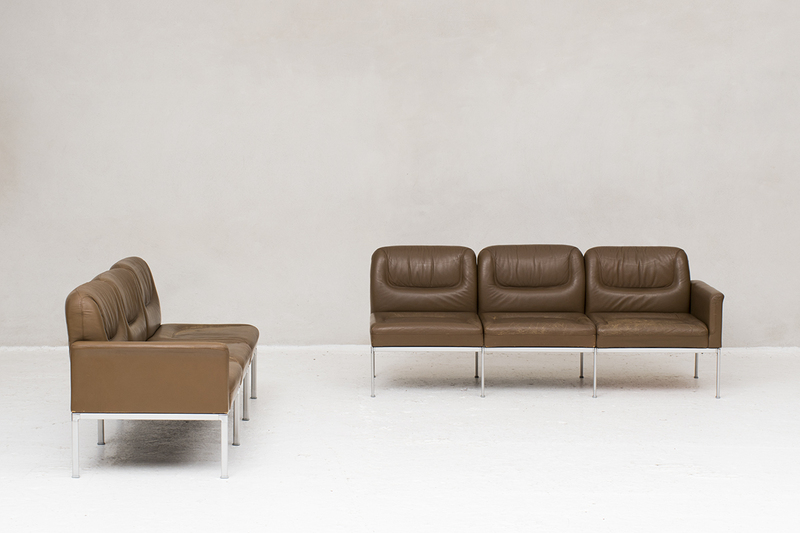 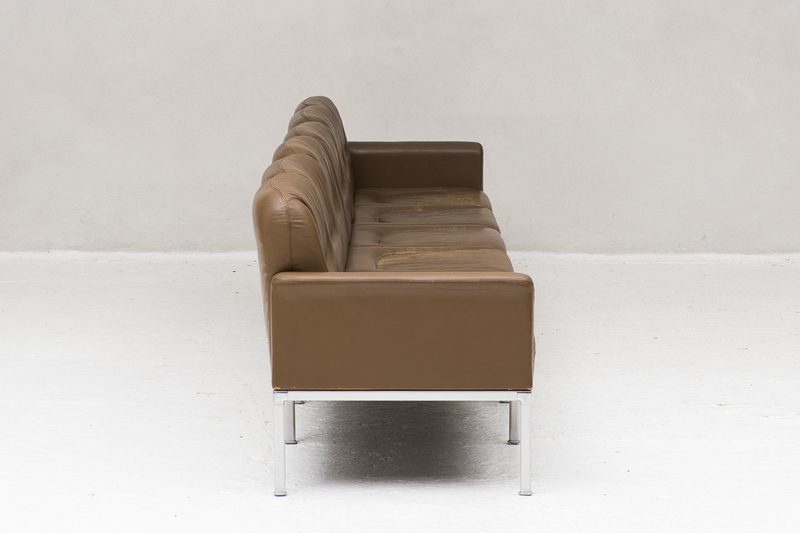 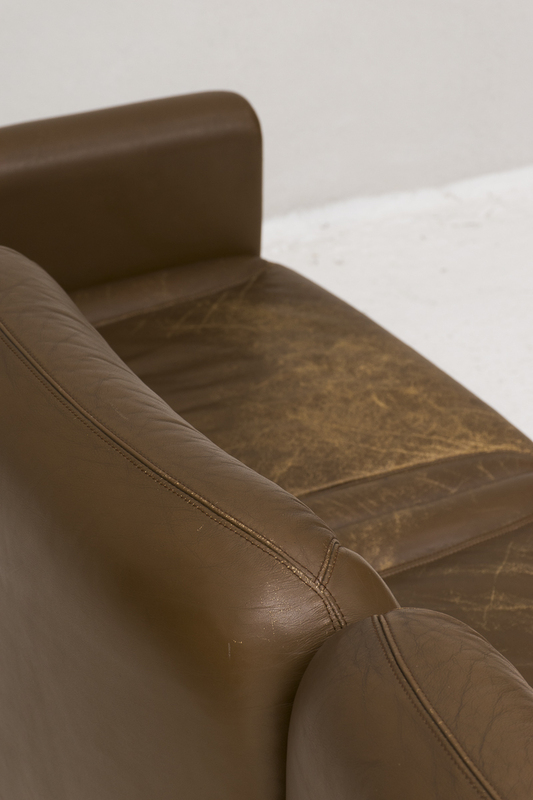 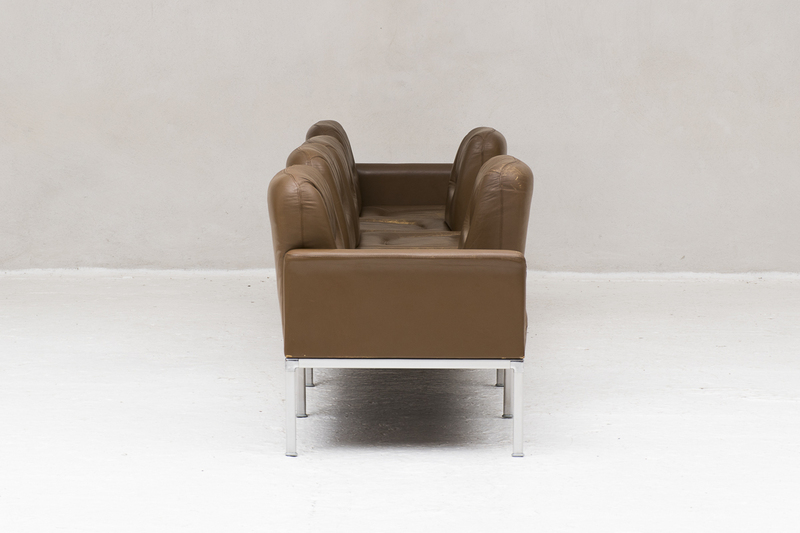 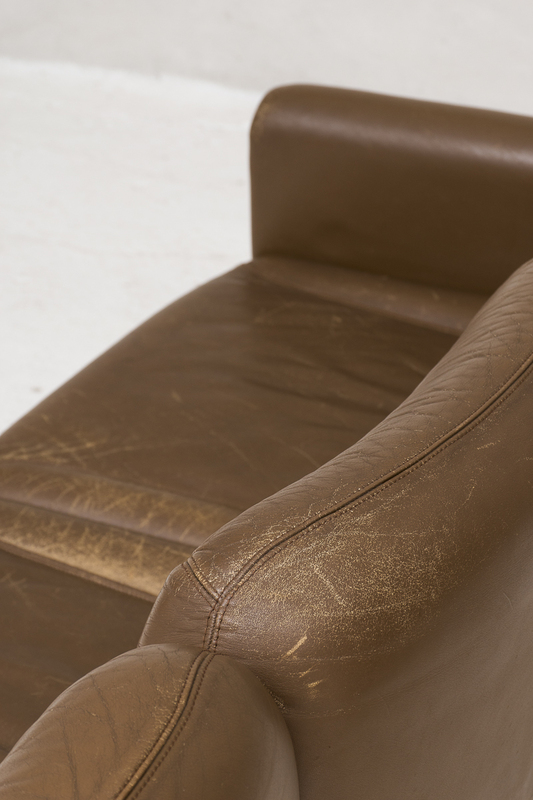 6-seater or double 3-seater in brown leather manufactured and designed by Lübke in Germany in 1970. 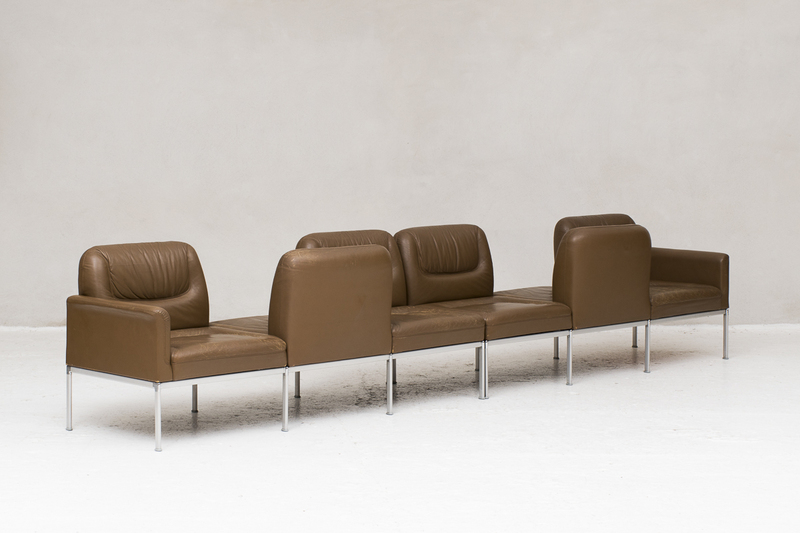 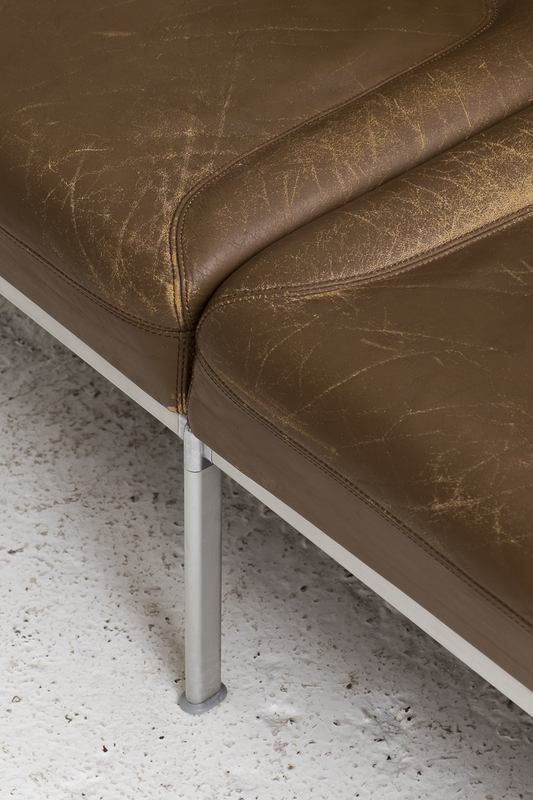 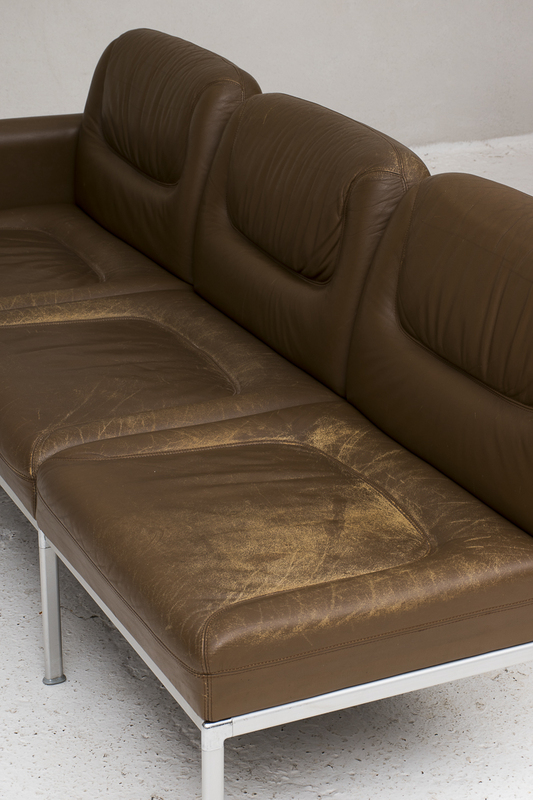 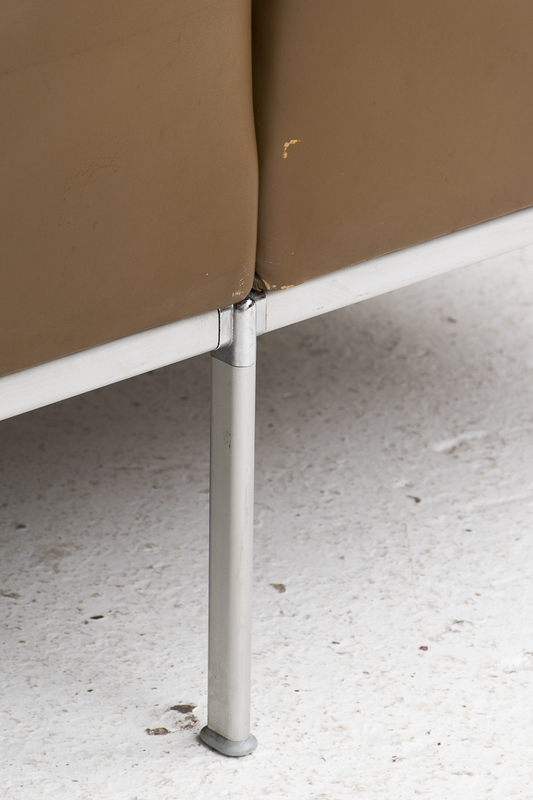 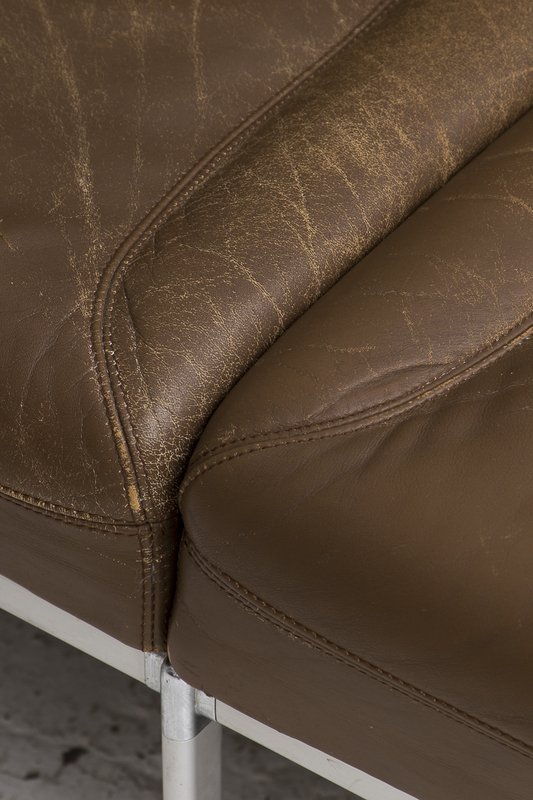 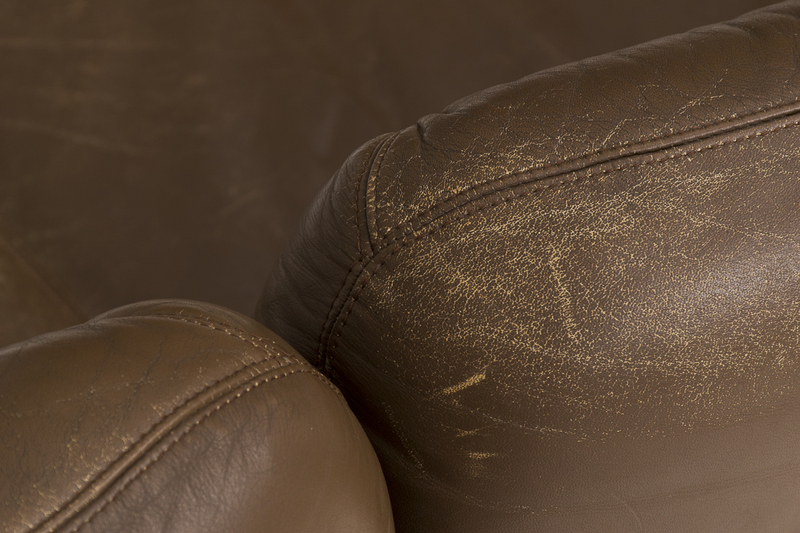 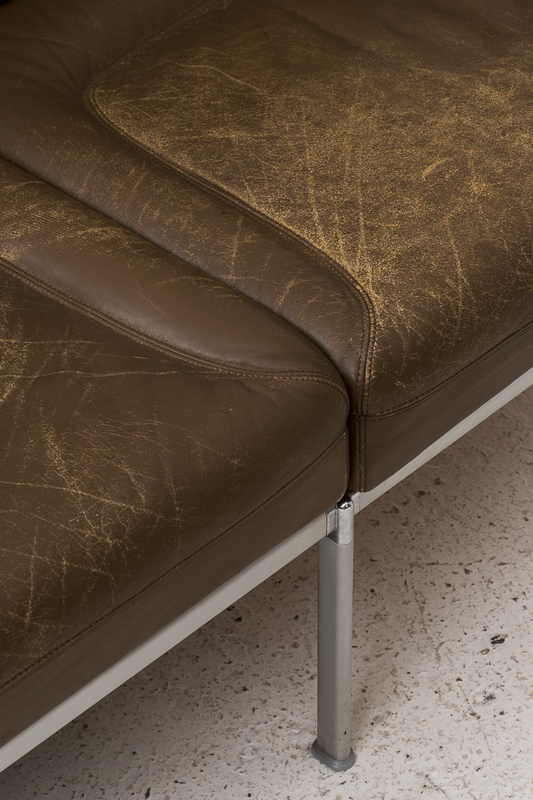 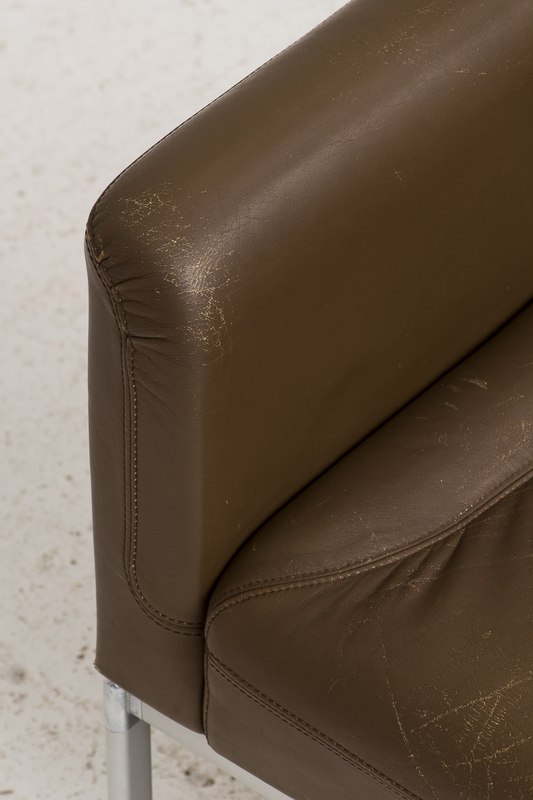 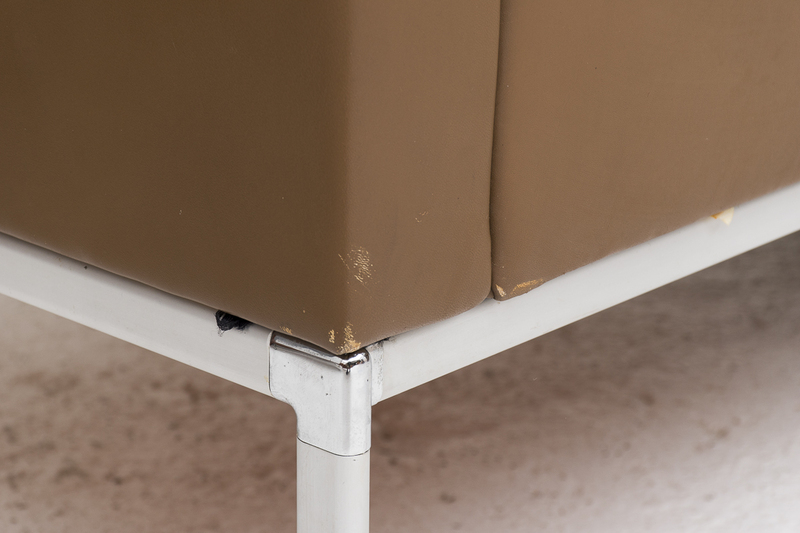 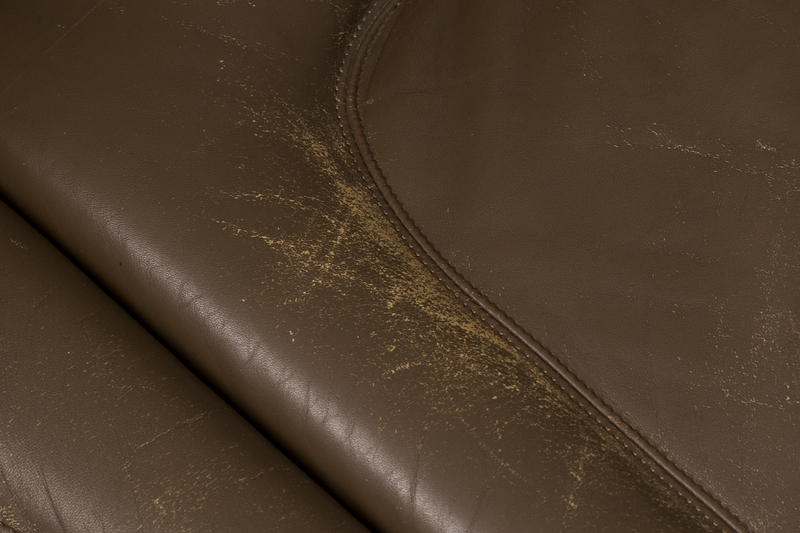 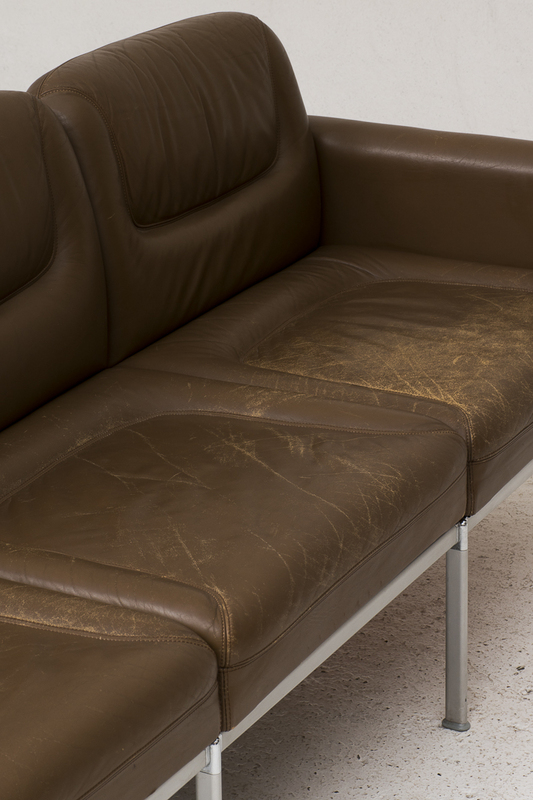 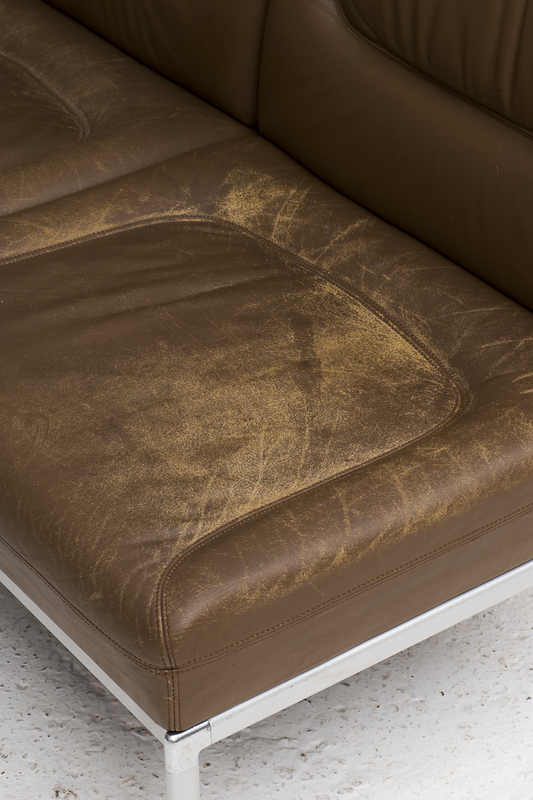 Brown leather seating with light wear visible supported by an aluminum frame. 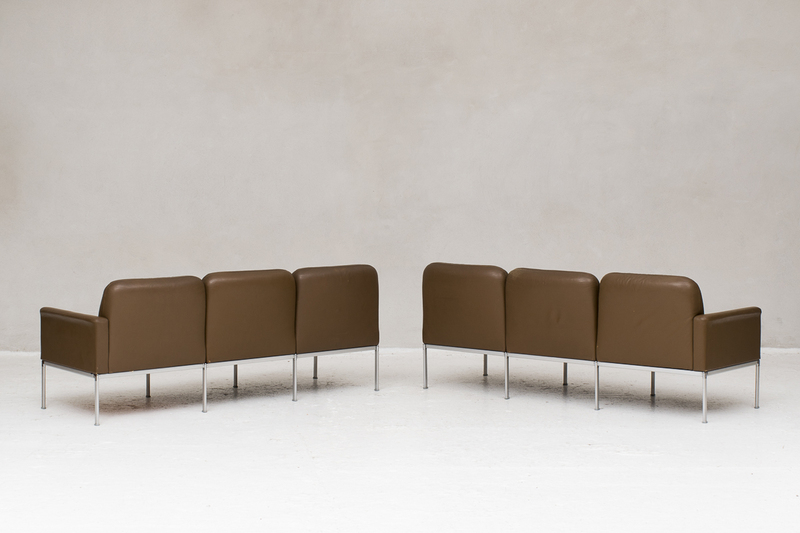 These sofas are modular: every seat can be taken from the frame or even turned 180 degrees. 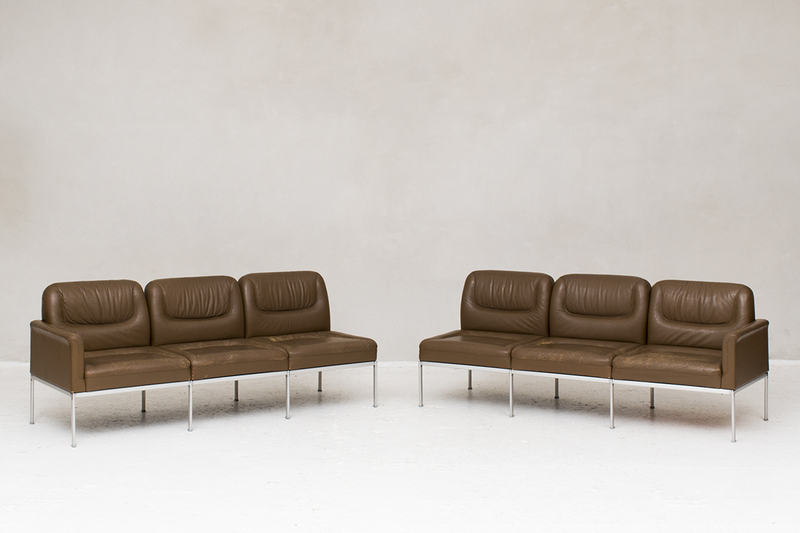 These two 3 seaters can function as a stylish sitting group in any living room or just as easily be used in a waiting room area.